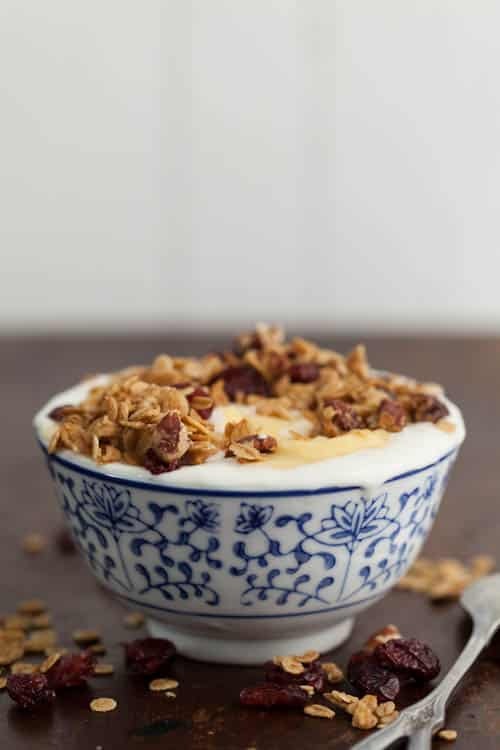 Combine oats, barley, kamut, pecans and salt, then whisk together oil and syrup. Pour over oats and continue to stir until all oats are covered. Pour oats on to tray and evenly spread into a thin layer. Bake for 45 minutes to 1 hour, stirring every 15 minutes. 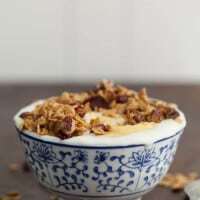 Granola should be lightly browned and beginning to crisp when done. Remove and let sit until cool. *Any grain flake will work- I’ve also used spelt, buckwheat, and wheat berry flakes. 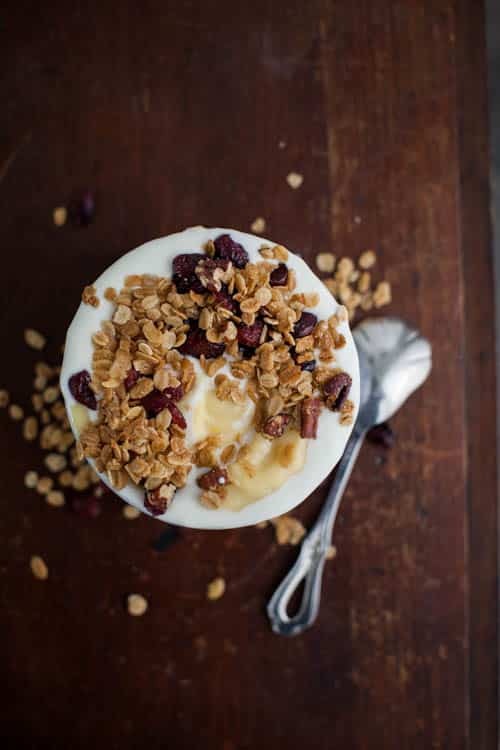 So much good stuff in this granola. It looks perfect Erin! That first picture looks so great, I just want to dive in! This looks delicious. 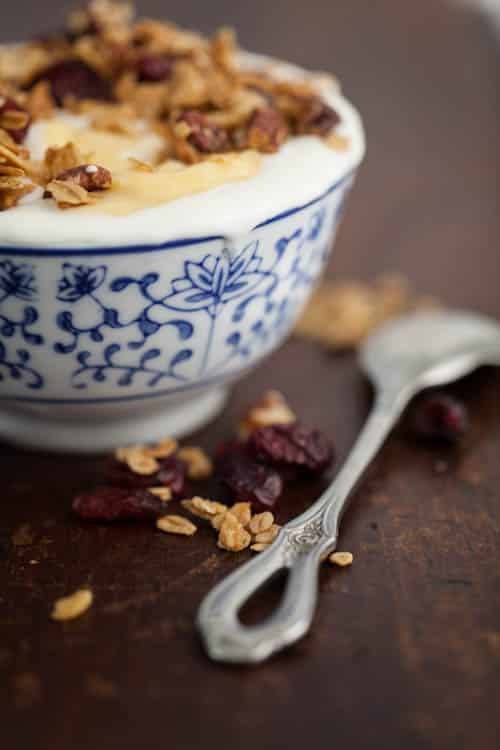 I love granola and yogurt for breakfast. It’s such a light meal to have in the mornings when you’re first starting your day off. It doesn’t leave you feeling sluggish like other foods. Hahaha, I was wondering what that fluffy thing was in the foreground!? Is that a rabbit? 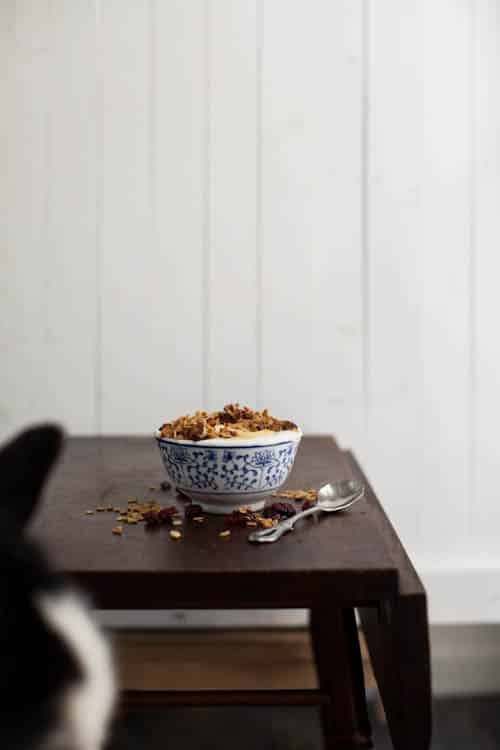 Always on the lookout for a new granola recipe. I’m eager to try this one soon! Looks so delicious! How have I only just found your blog – everything looks so delicious! Food looks good enough to eat!! Love it. Thanks.